Fantastic Black Friday Deals from Hamper.com! This entry was posted on November 11, 2016 by Clearwater Hampers. Black Friday comes around every year and it’s your chance to get a great deal on a luxury Christmas hamper from Clearwater Hampers. With a selection of our amazing Christmas Hampers available with huge discounts, you can get all the family’s Christmas presents sorted in just one day! Don’t miss out on incredible offers for Black Friday, this week only! Black Friday follows Thanksgiving and is an American tradition that has become a global shopping event. Since 1932 it has been regarded as the official start to the Christmas shopping season and many shops have special deals and sales, including Clearwater Hampers! This year, Black Friday falls on the 25th of November. 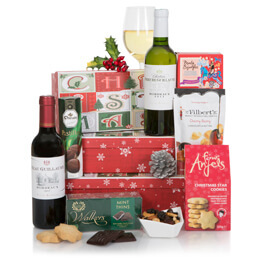 With over 35 years’ experience in creating and selling Christmas hampers, we know what makes a hamper extra special for Christmas. 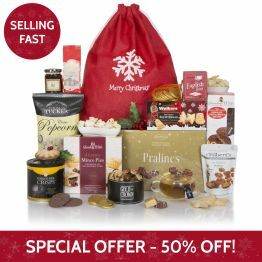 With our Black Friday Deals you can grab some of our best festive hampers filled with delicious treats, chocolate and an assortment of Christmas themed goodies. Browse the range of Black Friday Hampers on sale now and take a look at some of the Christmas Hampers on offer from Hamper.com. 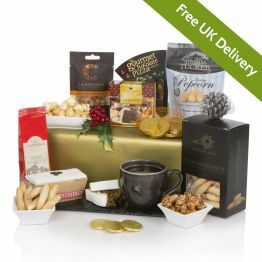 Available with free UK Delivery, the Yuletide Delights Christmas Hamper makes a perfect present for a chocolate lover. Filled with praline chocolates, a Christmas pudding, savoury treats and red wine, it makes an indulgent Christmas gift for people of all ages. 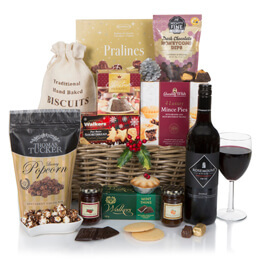 For an alcohol-free treat, choose the Christmas Wishes Hamper from our Black Friday Deals. With a bottle of refreshing Belvoir Raspberry Lemonade, tea, savoury nibbles and cake, this delicious selection of food and drink will please any foodie at Christmas. 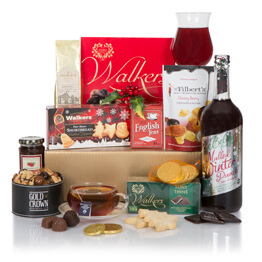 Ideal for shipping overseas, the Joy of Christmas Hamper is bursting with savoury delights, sweet treats and festive surprises, suitable for family, friends, staff or clients. 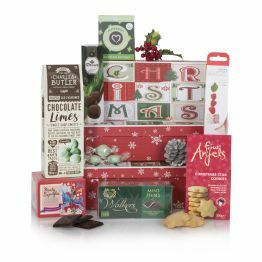 Christmas Wishes is a great gift for a smaller budget and has all the carefully hand-picked gourmet treats that Hamper.com love. Get your Christmas shopping done early this year with Clearwater Hampers. Whether you want to get an indulgent Christmas hamper for the family, or to treat a loved one with a luxury gift hamper, grab a deal in our three day Black Friday Discount event on all hampers from our Black Friday Range. To be the first to hear about the Black Friday Deals, sign up to the Hamper.com newsletter and don’t miss out. For more information on any Christmas Hampers for 2016, get in touch with us online and we’ll respond as soon as possible.